Congratulations! You win 28 bonus points with this purchase! Thanks. Great service. All dealings dwelt with swiftly, professionally and competently. 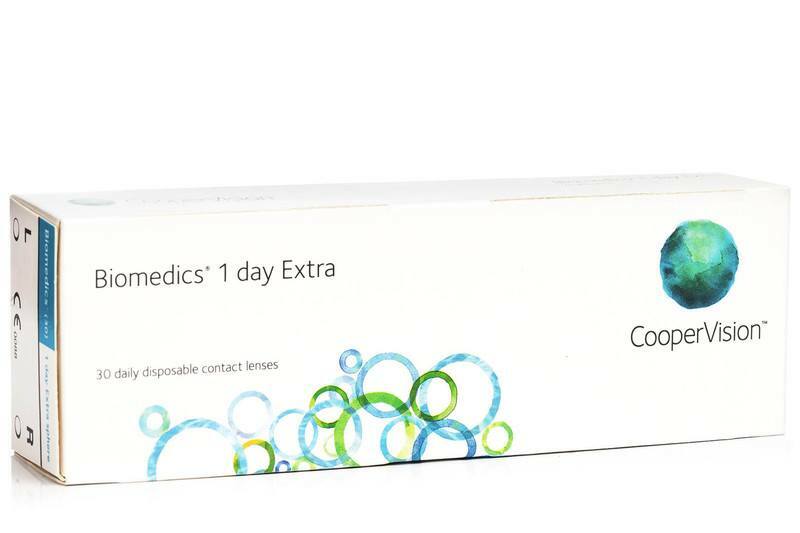 Biomedics 1 Day Extra (30 lenses) are daily contact lenses from CooperVision, designed for the feeling of maximum natural comfort for your eyes that lasts all day long. The lenses have typically very thin edges, which do not irritate the eyes and are very well tolerated. It is their high comfort that makes them popular among first-time and monthly-lens wearers who do not want to be limited by contact lens care and prefer the most comfortable and healthiest way of wearing lenses. The Biomedics 1 Day Extra contacts are tinted, for their easier application.